Local cultural institutions are critical for the arts to thrive. These organizations help develop and showcase artistic talent, provide communities with a forum to experience the arts and also contribute to a city’s economy and identity. That is why Bloomberg Philanthropies has supported more than 500 small and medium-sized organizations through our Arts Innovation and Management Program (AIM). 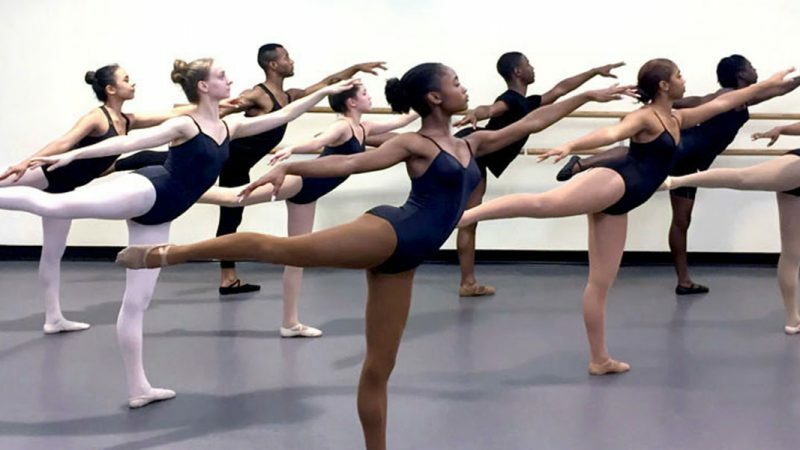 In this interview, Ethan Joseph of the Bloomberg Philanthropies Arts team talks with Zenetta Drew, Executive Director of the Dallas Black Dance Theatre and former participant of the AIM program, about what the theatre has meant to the Dallas community. The following is a lightly edited excerpt of the conversation. 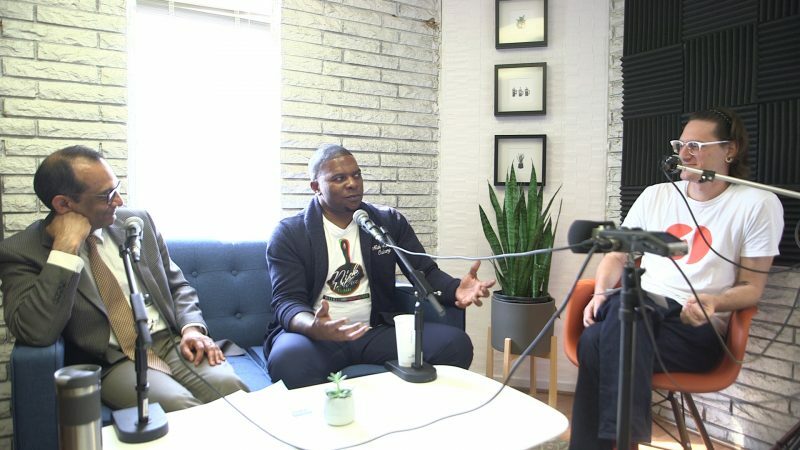 In part two of a two part episode, Hannibal Johnson and Rick Lowe, discuss the future of Tulsa, Oklahoma in historical context, along with the potential impact of the Greenwood Art Project. 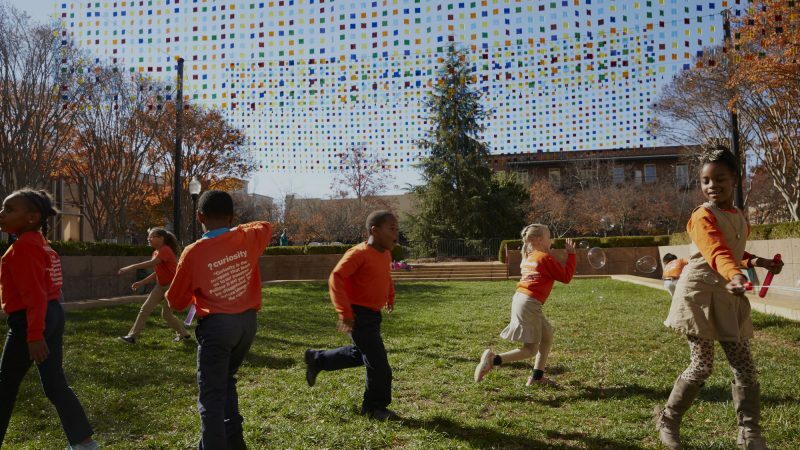 Tulsa is the winner of Bloomberg Philanthropies’ Public Art Challenge. 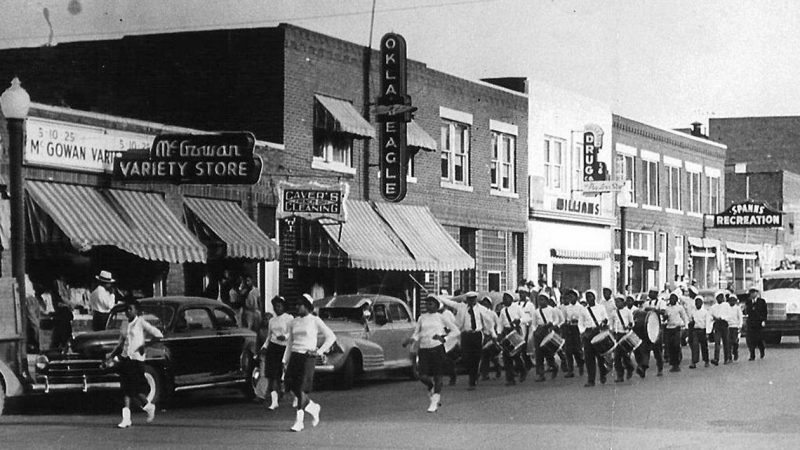 The Greenwood Art Project commemorates the 100th anniversary of the destruction of a thriving black community in Tulsa known as Black Wall Street. The project celebrates the resilience and recovery of the community. In June 2015, the City of Spartanburg was selected as one of four projects nationwide to take part in Bloomberg Philanthropies Public Art Challenge. 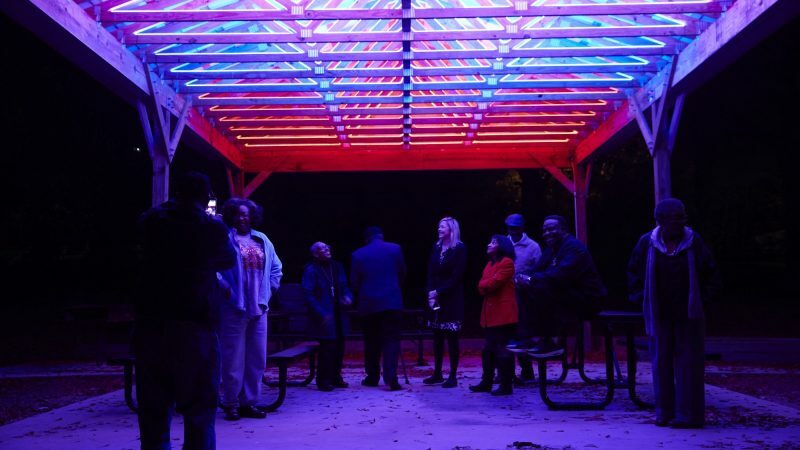 Jennifer Evins, working with key partners including digital media artist Erwin Redl, city police officers and the city’s residents brought their winning project, “Seeing Spartanburg” to life. In the wake of shootings and protests across the country, community-building between police officers and the municipalities they serve become a focal point in the nation. Through “Seeing Spartanburg in a New Light,” Spartanburg police officers hoped to harness the power of public art to repair and strengthen police-community relations in the city. They also hoped to shine a light on Spartanburg’s commitment to safety and vibrancy, enhance crime prevention efforts and cultivate partnerships to increase public trust and confidence in local law enforcement. 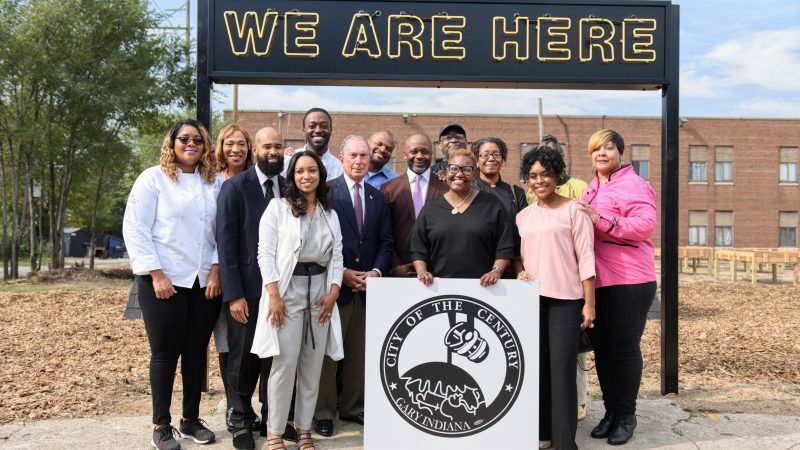 Through the Bloomberg Philanthropies Public Art Challenge, the City of Jackson Mississippi aims to address complex food access issues in the city. Their project “Fertile Ground: Inspiring Dialogue About Food Access,” will enlist an interdisciplinary team of local and national artists, landscape architects, filmmakers, farmers, chefs, nutritionists, and community members. The project teams will come together to create a city-wide exhibition with installations, performances and programming. Workshops and panels will address challenges stemming from a proliferation of fast food restaurants in the area and the need for healthy food opportunities for the community. In Part One of a two part episode, we hear from Hannibal Johnson and Rick Lowe, detailing work in Tulsa, Oklahoma, the most recent winner of Bloomberg Philanthropies’ Public Art Challenge. Hannibal Johnson is an author, attorney, professor and consultant. He is an expert of the African-American experience in Oklahoma and its broader historic impact on American history. Rick Lowe is an artist, best known for Project Row Houses, which he started in Houston in 1993. He has worked with communities and exhibited all over the world. Through “The Greenwood Art Project,” MacArthur Fellow Rick Lowe will work alongside local artists to bring the story of the Black Wall Street to light. In creating a series of art installations located at significant sites throughout the historic district, Lowe and his team hope to tell a story of vulnerability and resilience. We sat down with Lowe during Black History month to discuss the racial and economic disparities that still exist in the area today, the power art can have to bring communities together, and the importance of reconciliation. 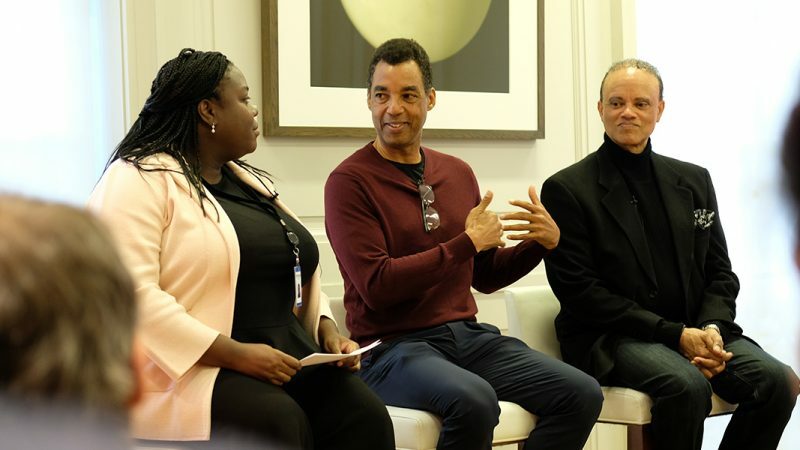 Stephanie Dockery of Bloomberg Philanthropies moderates discussion with Tulsa Public Art Challenge Lead Artist Rick Lowe and "Black Wall Street" author Hannibal Johnson. Last year, an unimaginable tragedy struck our community when a shooter entered Marjory Stoneman Douglas High School, killing 17 people, severely wounding many and tormenting over 3,000 students and faculty. Following the initial shock and pain, city leaders were faced with a formidable question: what can we do to support the healing process of an entire community? Beyond Parkland, officials in neighboring Coral Springs and throughout Northwest Broward were facing the same question. Through the Bloomberg Arts Internship program, rising public high school seniors receive paid summer jobs at non-profit cultural organizations in Baltimore, New York, and Philadelphia. Participants gain professional experience in arts management, exposure to overall workplace protocols, and college-readiness preparation. The program is designed to serve students curious about the many facets of a career in the arts. ArtHouse opened in 2016, after Bloomberg Philanthropies selected Gary as one of four winners of our national Public Art Challenge. 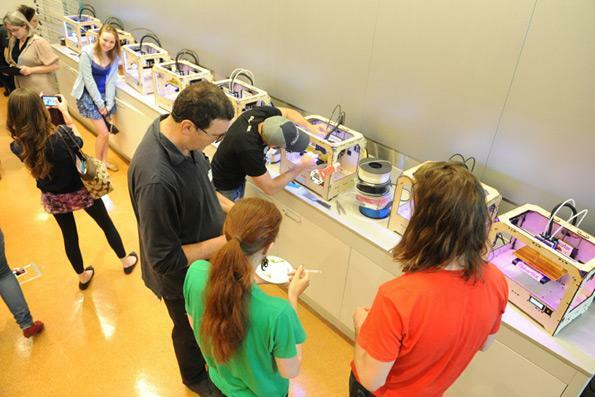 The center has quickly become a hub of community activity through exhibitions, concerts, and the culinary arts. So far, it has provided more than 3,000 free meals for Gary’s young people, hosted more than 100 events and programs, and trained more than 50 entrepreneurs through its business incubator. Thanks to our beautiful location in Hyde Park and Kensington Gardens, the Serpentine is never busier than during the summer months. If you’re not in London right now, you need only check social media, where visitors to our two galleries have been sharing images of their encounters with art and architecture in the heart – and heat – of the city. 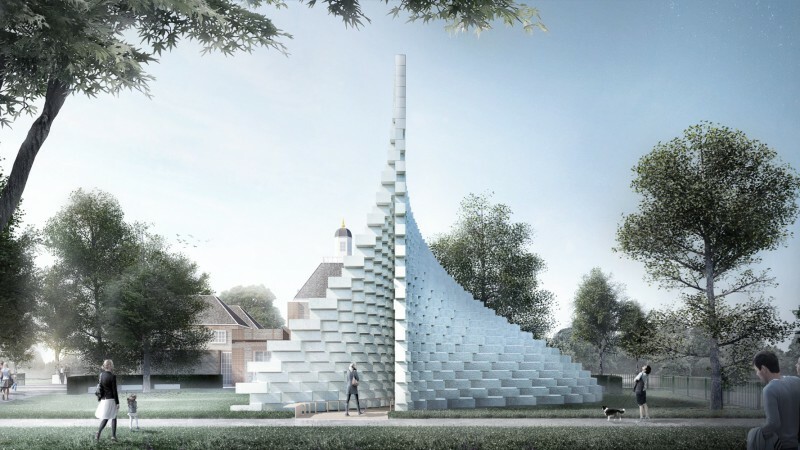 Bloomberg Philanthropies & Serpentine Gallery Instameet in Hyde Park, London. Public art can be a tool mayors use to build strong communities. 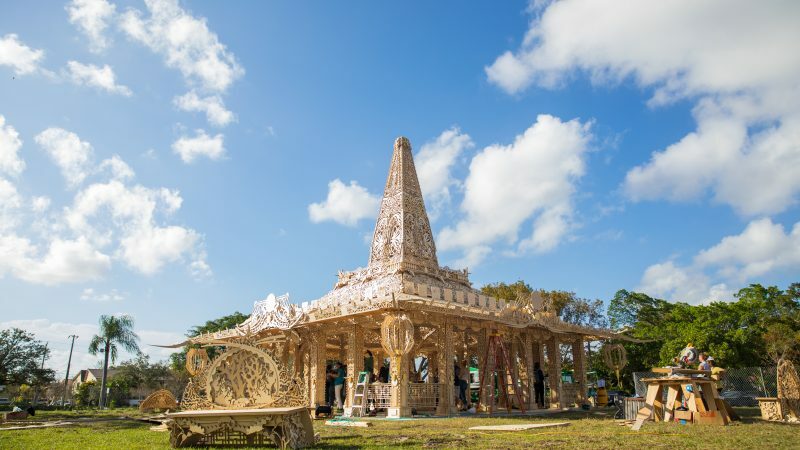 That’s the premise behind the Bloomberg Philanthropies Public Art Challenge, an initiative designed to support cities undertaking temporary art projects that address pressing civic issues. Last month, 14 U.S. cities learned that they’re finalists in the Challenge, with a chance at receiving up to $1 million to carry out their ideas. Information on all of the finalists is here. With some of the world’s most well-known museums and galleries, it’s no secret that cities like New York and London are great places to see art. 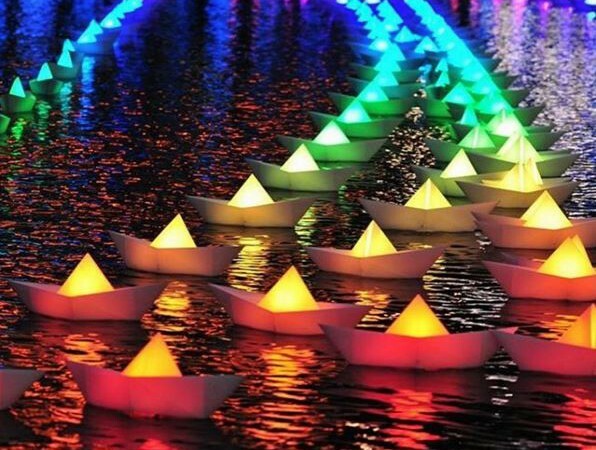 This summer there are also a number of engaging art pieces sparking dialogue and inspiring wonder right on the city streets, or in some cases, on rivers and lakes. ROCKAWAY! 2018 FEATURING A SITE-SPECIFIC INSTALLATION OF NARCISSUS GARDEN BY YAYOI KUSAMA. ARTWORK ©YAYOI KUSAMA. ARTWORK COURTESY OTA FINE ARTS, TOKYO/SINGAPORE/SHANGHAI; VICTORIA MIRO, LONDON/VENICE; AND DAVID ZWIRNER, NEW YORK. IMAGE COURTESY MOMA PS1. PHOTO: PABLO ENRIQUEZ. 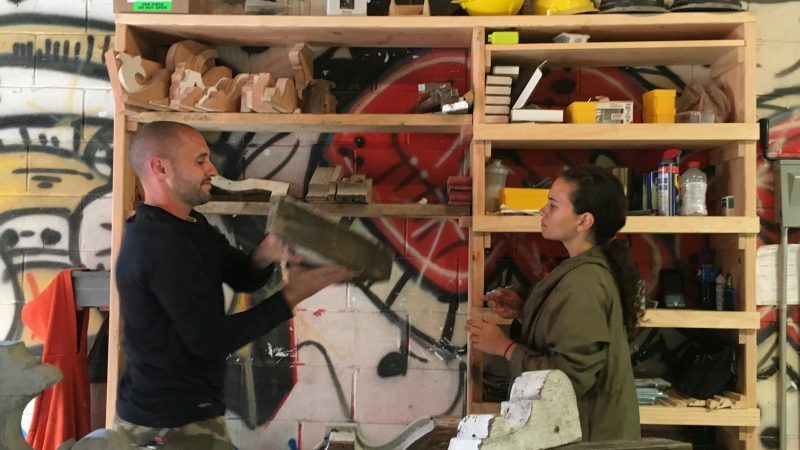 Just 60 miles north of Manhattan, in the post-industrial Hudson River city of Newburgh – a town gutted by urban renewal and crippled by the foreclosure crisis – the Newburgh Community Land Bank has been working in overdrive to give vacant and abandoned properties new life. We are a quasi-public non-profit agency that acquires titles of abandoned properties. Our ultimate goal is to help a community provide livable homes and build strong neighborhoods. When Spartanburg, S.C., embarked on an ambitious public art project a few years ago, it was the police department that took the lead. And while police aren’t typically the first officials people turn to for matters of artistic expression, in this case the department was a perfect fit. That’s because city leaders were looking for a way art could help strengthen ties between law enforcement and the community. 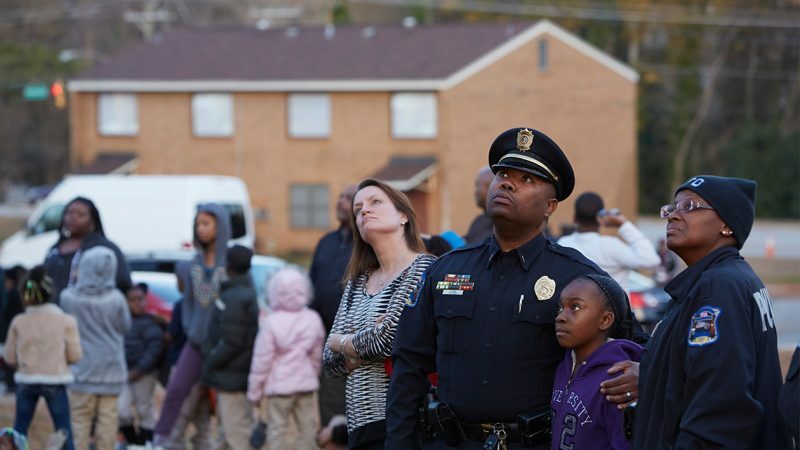 For more than a year, officers and light artist Erwin Redl spent time with people from neighborhoods across Spartanburg. 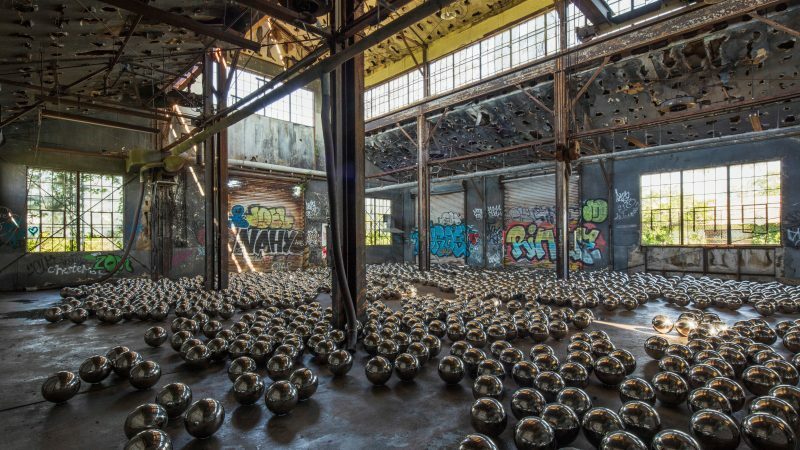 Together they dreamed up nine separate installations, from lighting up old smokestacks to projecting videos of community residents on the side of a vacant public housing complex. Along the way, officers and local leaders built a shared sense of purpose. Since our earliest days, our founder Mike Bloomberg has been committed to celebrating and supporting creativity and innovation, and Bloomberg LP has always valued the powerful impact the arts can have on cities and individuals. Through Mike’s board leadership and support for cultural organizations around the world, Bloomberg has helped these institutions to strengthen communities, drive economic growth and serve a vital role in education. 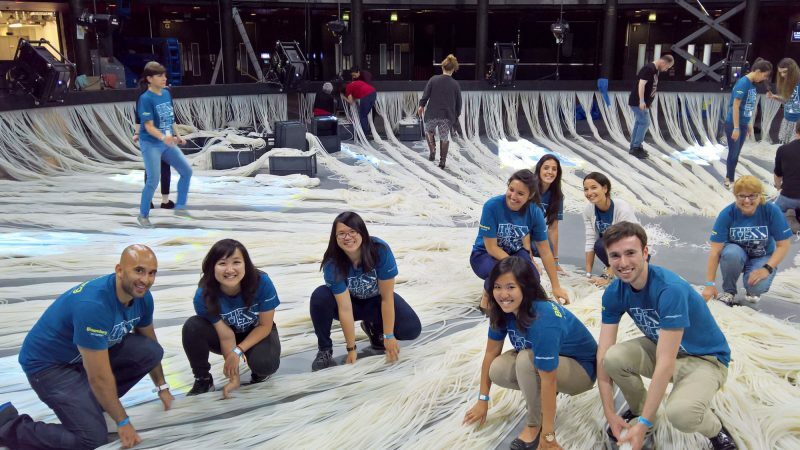 As our company has continued to grow, we’ve continued to strengthen our cultural support and in turn have been able to provide unique experiences and cultural access for our employees, community and clients. Through Bloomberg Philanthropies, our global cultural partnerships advance creativity, innovation, access and new technologies in the arts. In this Bloomberg 35 post, we highlight some of our key cultural partners and their programs that leverage art to educate the next generation of creative leaders. In the second episode of Follow the Data – a podcast about how our work is driving change and making an impact in the areas of education, the arts, the environment, public health and government innovation – we take a deeper dive into the work of Bloomberg Connects partner the Brooklyn Museum to see how they are transforming the visitor experience through technology. Cities are the global centers of communication, commerce, and culture—and where we also look for solutions to our greatest societal challenges. That’s why Bloomberg Philanthropies focuses on cities across each of our five programmatic areas, supporting innovative approaches to tackling tough issues. 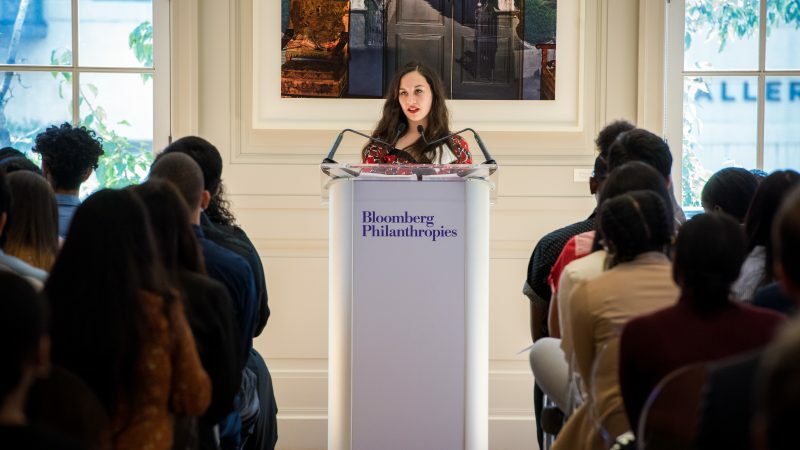 At Bloomberg Philanthropies, we utilize innovative partnerships and bold approaches that put the arts at the center of community-building, and economic growth around the world. 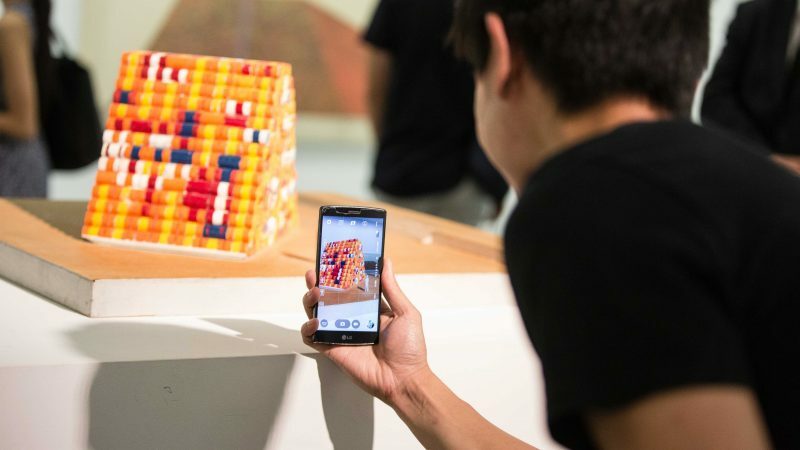 Through our support of cultural organizations including the Bloomberg Connects, Public Art Challenge, Arts Innovation and Management, and global sponsorship, we meet hundreds of amazing artists who push the envelope — in real life and on social media. Through innovative partnerships and bold approaches, the Bloomberg Philanthropies arts program increases access to culture using new technologies. It aims to strengthen and empower artists and help cultural organizations reach broader audiences. 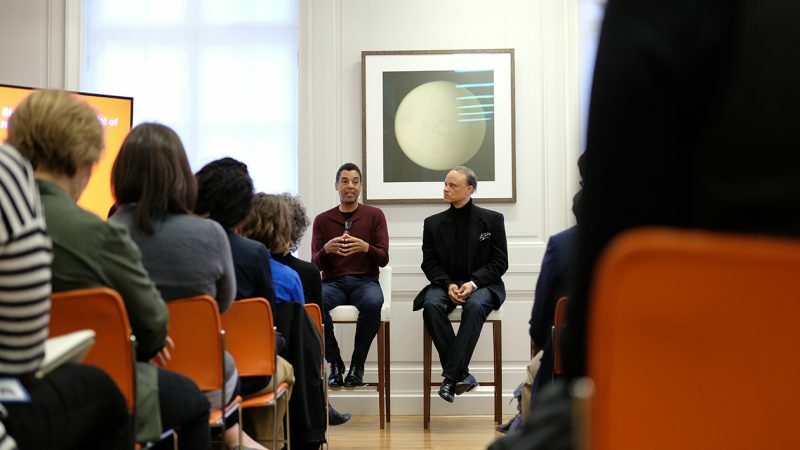 The chief digital officer at the Metropolitan Museum of Art, Sree Sreenivasan, joined Bloomberg Philanthropies’ Kate Levin for a wide-ranging conversation with the foundation’s staff about how digital technology is changing the way audiences engage with culture. Neighborhoods in London will be transformed this week through public art, as illuminated works will be projected across some of the most iconic sites in Central London including Oxford Circus, Westminster Abbey, and the Bafta Building on Piccadilly. 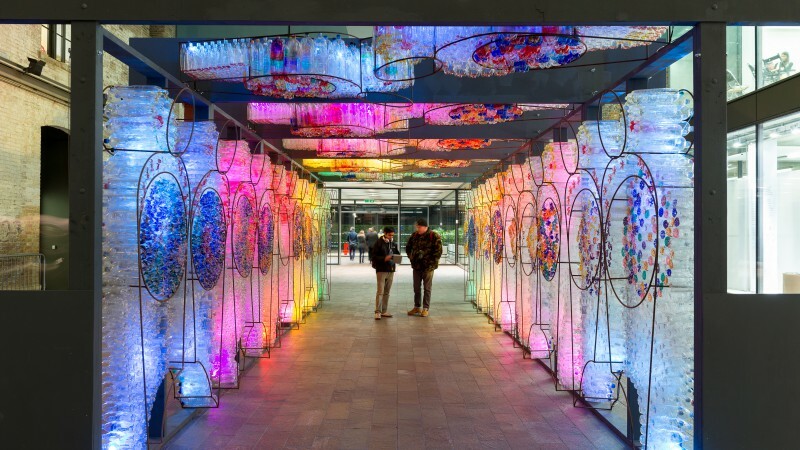 In total, there will be 30 installations created by world-renowned artists for Lumiere London, a four-day celebration of public art hosted by Artichoke and the Mayor of London and supported by Bloomberg Philanthropies along with many other great partners. World leaders, environment experts and delegates from around the globe are convening in Paris for COP21, the U.N.’s climate summit. 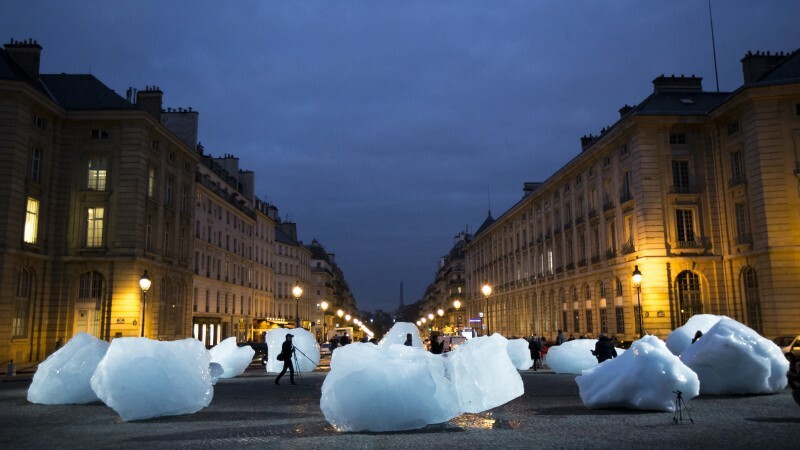 Meanwhile, in the center of the city at Place du Panthéon, the public has the chance to encounter Ice Watch, a work by acclaimed artist Olafur Eliasson and scientist Minik Rosing, supported by Bloomberg Philanthropies. After receiving hundreds of proposals of innovative projects that use the arts to promote and address a wide range of local and civic issues from various cities in the U.S., we announced today that four cities have been selected to receive up to $1 million each as part of the Public Art Challenge—a new program aimed at supporting temporary public art projects that engage communities, enhance creativity, and enrich the vibrancy of cities. The four selected cities are: Albany, Schenectady, and Troy, NY, which proposed a collaborative project; Gary, IN; Los Angeles, CA; and Spartanburg, SC. Through funding and support from Bloomberg Philanthropies, as part of the Bloomberg Connects program, the New York Botanical Garden (NYBG) has created a unique mobile experience for visitors to engage with its new FRIDA KAHLO: Art, Garden, Life exhibition. On March 19, The New York Times Arts division published its annual Museum special section, highlighting the digital work of many leading cultural institutions around the world. In publishing the groundbreaking work of these institutions, they have identified a trend that Bloomberg Philanthropies is already funding and passionate about – using new methods and approaches to engage with the arts. Are You Taking the Public Art Challenge? With the deadline for the Bloomberg Philanthropies Public Art Challenge approaching on December 15, I am reflecting on how art transforms cities into vibrant cultural centers, revitalize neighborhoods and makes cities more appealing to visit, work and live. Today, museums are turning towards innovative technology to extend their reach beyond an institution’s four walls, allowing more people to access their resources. That’s why Bloomberg Philanthropies is committed to support their pursuit of technology that encourages creativity, engagement and connection. One of our newest grantees, the Science Museum in London, announced this week the opening of the new Information Age gallery. Beginning October 25th, Information Age: Six Networks That Changed Our World will feature over 800 objects from the Science Museum collections and use specially commissioned interactive displays, games and mobile experiences to explore the remarkable technological breakthroughs that have helped create the connected world we live in today. The audio guide. The museum map. For years, these tools have led visitors on journeys through the world’s greatest cultural institutions. They’ve provided a one-way means of experiencing amazing artifacts and groundbreaking galleries. Now, it’s time for some new tools – tools made for the digital, social sharing age. Now, it’s time for some new tools – tools made for the digital, social sharing age. Most people don’t associate museums with technology beyond audio guides – which were cutting-edge visitor experiences at one time – but that’s quickly changing. 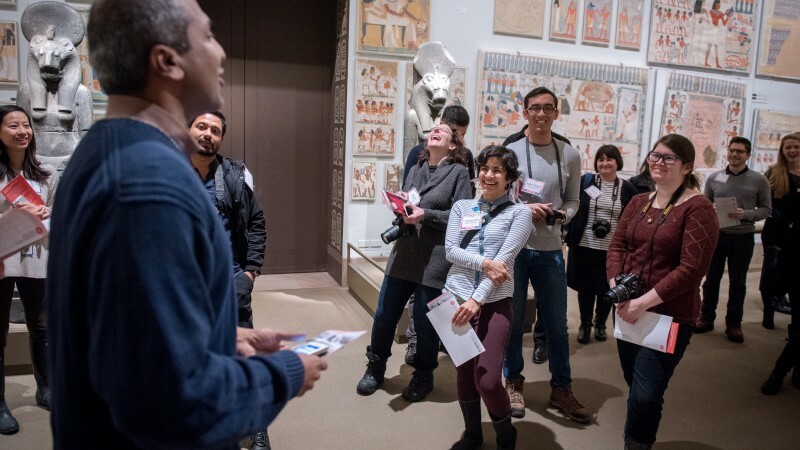 The Digital Engagement Initiative at Bloomberg Philanthropies is supporting cultural institutions like the Met Museum to use all kinds of digital, mobile and social media to connect with our audiences and enhance their experiences. At the Met, I have the privilege of working with a wonderful team of technologists and art experts on ways we can increase access to our collection for everyone including those who visit our galleries in New York to online art enthusiasts around the world. It’s a revolutionary moment for us as we explore new ways to engage our audience through technology – even the audio guide has evolved into a multimedia device – and with the advent of smartphones, we are ramping up our efforts to transform how visitors learn about and interact with art through a mobile experience. Visiting a museum and seeing incredible art in person can be a transformative experience. But museum-goers have traditionally faced two barriers to making the most of their museum visits: the challenges of navigating collections and accessing information about its works. Many museums have made significant efforts to address these challenges, including offering curator-led tours and traditional audio guides along with interactive kiosks that facilitate self-guided walkthroughs. We have a full house today at Bloomberg Philanthropies, as we welcome our arts organization grantees for #springsocial—a full day of presentations and discussions that will provide grantees deep insight into the world of social media.